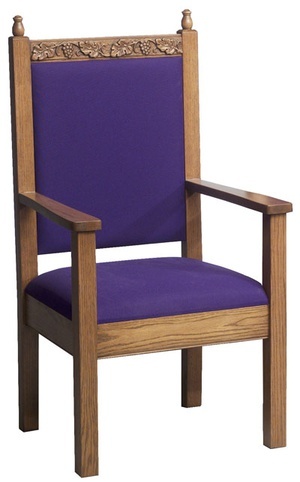 Imperial Woodworks has created an enduring style for their pulpit side chair with their outstanding 500 Series. This product ships free anywhere in the lower 48 states! Choose from 48 new fabric options! 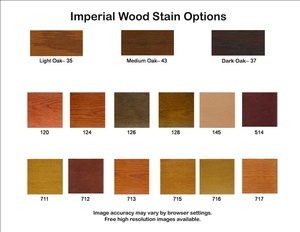 Since 1960, Imperial Woodworks, Inc. has been a family-run business making custom wooden church furniture. With second and third generations now in place, Imperial is the nation’s largest manufacturer that produces solely church furniture. Our 120,000 sq. ft. factory allows us to produce everything from church pews to communion rails to clergy chairs. Our company has shown continued growth without losing sight of our goal to make customer service the number one priority. To meet the challenge of the diverse products used for worship today, Imperial offers traditional products such as solid wood church pews, communion rails, walk-in pulpits, kneelers, pew screens and modesty rails, custom chancel furniture designs, and solid oak chairs to beautifully coordinate all the church furnishings. In addition, Imperial provides more modern products such as metal and wood stacking chairs, plexiglass and acrylic pulpits and communion tables, and combination and defined-back pew seating options, along with more open, rounded designs of pulpits, tables, pulpit chairs and furniture, and pew ends to create a more contemporary feel to the worship setting.